Dreaming of your first e-bike? If so, you must get familiar with electric bike regulations and laws to drive safely. Dreaming of your first e-bike? If so, you must get familiar with electric bike regulations and laws to drive safely. It goes without saying that laws that apply to non-electric bike owners are completely different than laws that apply to electrical bike owners. First of all, e-bicycles are far more powerful vehicles, meaning that they can reach higher speeds and cause higher danger to other road users. However, in what cases do you need a driver’s license to ride an electric bike? When does an electric bike become a motor vehicle? 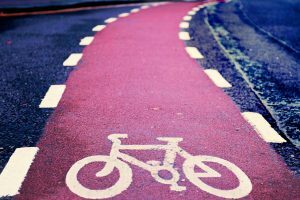 These questions cause confusion among cyclists, so we have decided to look over general e-bike laws in the USA, Europe, and UK and resolve the uncertainty regarding electric bike laws. Cycles with pedal assistance which are equipped with an auxiliary electric motor having a maximum continuous rated power of 0.25 kW, of which the output is progressively reduced and finally cut off as the vehicle reaches a speed of 25 km/h (15.5mph) or if the cyclist stops pedaling. However, each member of the European Union can implement requirements in national legislation. 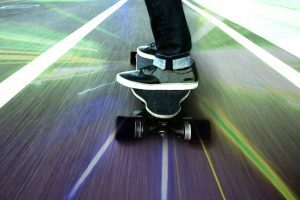 Generally speaking, the majority of EU members provide no demand for a license to drive an e-bike as long as its motor power output doesn’t exceed 250 W. besides, the maximum speed limit for simple e-bikes is 25 km per hour. In case the bike is more powerful, it has to contain a setting that cuts off the motor power as soon as bicycle’s speed reaches 25 km per hour. Otherwise, if you want to enjoy its full power, you will need to register it as a motor vehicle and get a proper driver licence. Switzerland, which is not a member of EU, has liberalized standards and made the process of obtaining a license for bikes reaching up to 45 km per hour speed easier. In the United States, state rules and regulations regarding electric bikes differ. While in some states driver’s license is not required, in others driver’s license and insurance is simply a must. Also, the majority of United States members do not have explicit laws governing electric bicycles, and therefore these single-track vehicles are treated as mopeds, motorized bicycles or other motorized vehicles regardless of their speed and power. To sum up, federal law is above all States’ laws, and it states that States cannot define an e-bike a bicycle if greater than 750W/20mph, nor can they define an e-bike a motor vehicle if less than the Federal Government’s limit of 750 W/20mph (approx. 32 km/h). It defines a low-speed electric bicycle which is equal to a simple bicycle. Such bike must have fully operable pedals. It must be said that rules for e-bikes on public roads, pathways, and sidewalks may be different in individual States. In most cases, owners of low-speed e-bikes can cycle in bike lanes. However, cycling on sidewalks might be prohibited in individual states. Speaking of more powerful e-bikes, for example, those that can reach speeds up to 45 km/hour or even 100 km/hour, they must meet additional safety requirements and are regarded as motor vehicles. Consequently, you might need to get a special driver’s license to use them and wear a helmet at all times, too. Additionally, you might not be allowed to drive on sidewalks, bike lanes, and footways. In 2015, California governor signed law modernizing electric bike laws. E-bikes are now considered motorized bicycles; however, owners of the low-speed ones can still use bike lanes, are required to show hand signals when making a turn, and must pay attention to traffic lights. However, there are three types of e-bikes now. Class 1 e-bikes are considered to be pedal-operated, cannot drive faster than 20mph (approx. 32 km/h), and there is no age limit to cycle them. However, cyclists under 17 are advised to wear a helmet when using such bike. 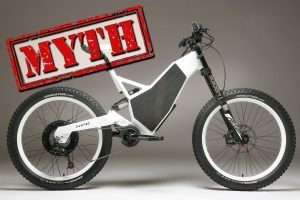 Class 2 e-bikes are classified in the same way as Class 1 ones; however, the second class electric bikes are not pedal-operated. Class 3 e-bikes are pedal-operated, have a maximum speed limit of 28mph (approx. 45 km/h) and cannot be used by cyclists under 16 years. Besides, cyclists must wear a helmet at all times. Differently than previously described e-bike types, class 3-type e-bike cannot be used in bike paths, but only in bike lanes, routes or protected lanes. Finally, there is the fourth type – moped, which is not pedal-operated, has no speed limit and must be used only by people over 16 years. Driving a moped is permitted only with a special driver’s license and the moped must have a license plate on it. Helmet must be worn at all times. This motor vehicle may be used in bike lanes and bike routes as well as public roadways. In England, Scotland and Wales, riding an electric bike is permitted as long as it meets specific requirements. Also, you must be over 14. Generally speaking, e-bikes are regarded as “electrically assisted pedal cycles” (EAPCs). 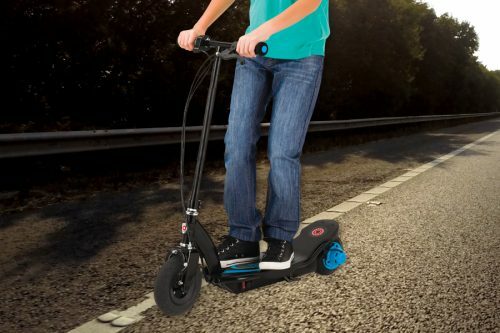 These vehicles must have operable pedals, show power output, the manufacturer of the motor, battery’s voltage and the maximum speed of the bike. The maximum power output of its electric motor cannot exceed 250 W and should stop propelling the bike once it reaches 15.5 mph speed (approximately 25 km/h). Such low-speed bike can ride on all paths where all other regular bikes are allowed. Any electric bike that is more powerful or can drive without pedaling will be classed as a motorcycle or a moped. Such vehicle has to be registered and taxed; besides, people willing to ride them will need to get a driving license and wear a helmet. Before buying your first e-bike, we strongly suggest you study the laws of the State or country you live in. If you are dreaming of a very powerful electric bicycle like Charged Devil “Carbon Edition,” you will need to get a driver’s license, register your vehicle and most likely get insurance to ride it without facing any problems. « Prev: How to stay safe while riding electric bike, scooter or board?